So the 16/2.8 has arrived and it joins the Fujicron trio of 35, 23 & 50mm f2's (that's if we don't count the original small 18/2. More on that lens later). 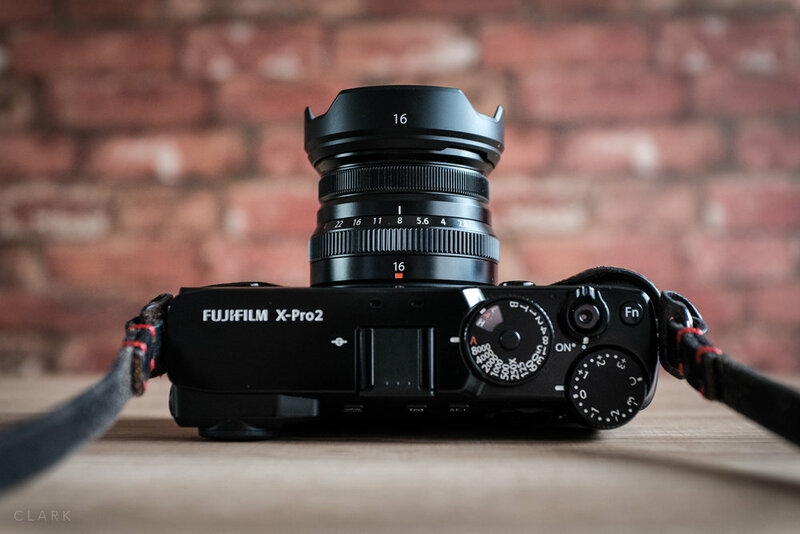 These three lenses were a runaway success for Fujifilm and the quality is stunning. They are small, well priced and so much easier to carry around than the larger f1.4 or f1.2 versions. People often question whether you should buy the f1.4 over the f2, shallow depth of field over size and weight, or even why Fuji should make two versions of the same focal length blah blah blah blah blah. But I think the great thing about these small lenses are that not everybody can afford to shell out loads of money on the bigger faster glass. These Fujicron lenses might be the only way someone on a tighter budget can own the equivalent to a wide angle 24mm or a decent 75mm portrait lens, and that's good enough reason for their existence in my book. WHY BUY THE 16/2.8 IF I ALREADY OWN THE 16/1.4 VERSION? I have a couple of setups. One is all about widest apertures and quality over size, which has my X-T3 & X-T2 bodies, plus all the best glass. There'e the 50-14/2.8, 16-55/2.8, 90/2, 56/1.2, 35/1.4, 23/1.4 and of course the 16/1.4. My other setup is my everyday carry around and street photography bag, which is my favourite because it's the one that is all about personal photography, rather than work. This small setup can change now and then, but it's basically an X100F, X70 and X-Pro2 with the Fujicron lenses. I have the 35/2 and the 50/2. I don't own a 23/2 because my X100F is pretty much always with me. So by adding the 16/2.8, I will have a full frame range from 24mm to 75mm. Or to break it down, with the 1.5 crop on the Fuji X sensor, my 16, 18.5 (X70), 23 (X100F), 35, and 50mm lenses will give me 24, 28, 35, 50, & 75mm in full frame terms. All of this fits in a Billingham Hadley Small Pro or an ONA Bowery. Not only am I keeping this setup as small and lightweight as possible; I also know that when I grab my backpack for a shoot that all my working lenses are in there and not in some other bag. The 16/2.8 is tiny, even (slightly) smaller in height than the 35/2. But compared to the 35/2's 43mm filter size, the 16/2.8 has a 49mm. This makes the front end wider than all the other Fujicron's, and in my opinion, the best looking of this range of inexpensive primes. Let's face it, they are not the best looking bunch, mostly due to that weird tapered design (which helps not to obstruct the optical view finder of the X-Pro2). The 35/2 is passable, the 23/2 is fugly, the 50/2 would be just as ugly, but gets saved by the wider lens hood. But the 16/2.8 is actually quite attractive due to it's dumpy design with a wide front, which means less taper. BUT WHAT ABOUT THE 18/2? So the 18/2 was one of the three original XF lenses back when the first Fuji ICLC (the X-Pro1) came out. Some people knock it, but it's actually a great little lens, even though it's getting a bit long in the tooth. The 18/2 is as near as damn it a 28mm lens in full frame speak. 28mm is fantastic for street photography, and I think Fuji should take this opportunity to go full Tonto. Get right off the reservation by making an all metal, non fly-by-wire lens with a proper depth of field scale that is easy to read. So basically a small lens that has hard stops at either end of the focus range (not a continuous wheel). A focus ring that has hard stops at either end of the focus range (preferably not fly-by-wire. a focus tab to allow guessing focus without looking at the lens or through the viewfinder. A proper depth of field scale that is wide enough to read (the 14, 16 & 23mm lenses DOF scale is too cramped). A clutch would be nice for selecting AF or manual focus, but not if it makes the lens too large. I suppose what I’m looking for is something as close to a Leica Summicron 28mm f2. I haven’t had a lot of time to use the 16/2.8 due to shoots over the weekend that needed much longer lenses. But I managed a little bit at a jazz gig and a little bit of street photography. But I can say that this lens is not the sharpest wide open at 2.8 (especially at close focus) but is definitely sharp at f4. That’s how the 23/2 was when I had one from Fuji for a couple of weeks too. There is also a bit of chromatic aberration, but nothing major an it’s usually an easy fix in post. There is also a bit of distortion at the edges, but you would expect that on a 24mm focal length. If these few things are a deal breaker for you, you should definitely get the 16/1.4 instead. However; If you are looking for a small, lightweight and sharp (f4 and beyond) lens with super fast focusing and is water resistant, then the 16/2.8 is for you. Just like the other Fujicron lenses, the 16/2.8 is extremely well built and has just the right of resistance on the focus ring and aperture ring. I’m really happy with it and look forward to using it on a few trips abroad this year. If you own any of the other lenses in this range, you already know what to expect. As long as this focal length is not too wide for you, I would highly recommend the XF16mm f2.8. 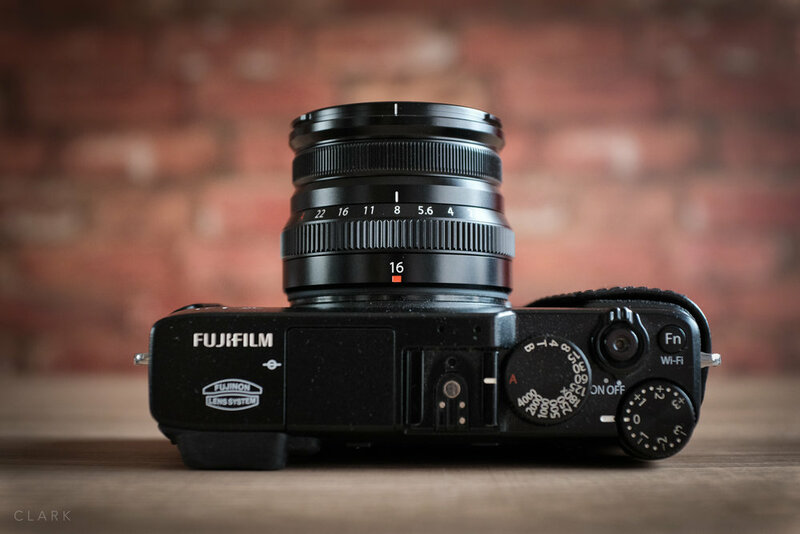 Check out my post Fujifilm 16mm f2.8: Too Wide? on my street photography blog for more pictures using the 16/2.8, but here are a few examples to wet your whistle.